But you knew that, yes? Now the latest in a long tradition… Robert Wayne Hickey is not only a comic book writer and artist, he is also the father of two boys with “learning differences”. So he and his wife set out of find a way to use comics to help their boys and other kids with ADHD, dyslexia, and other differences learn the best that they can. 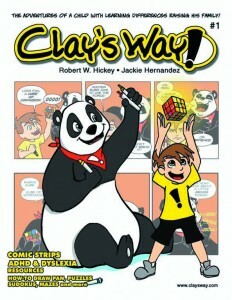 The result of that is Clay’s Way, a continuing on-line comic strip that Robert created with artist Jackie Hernandez. 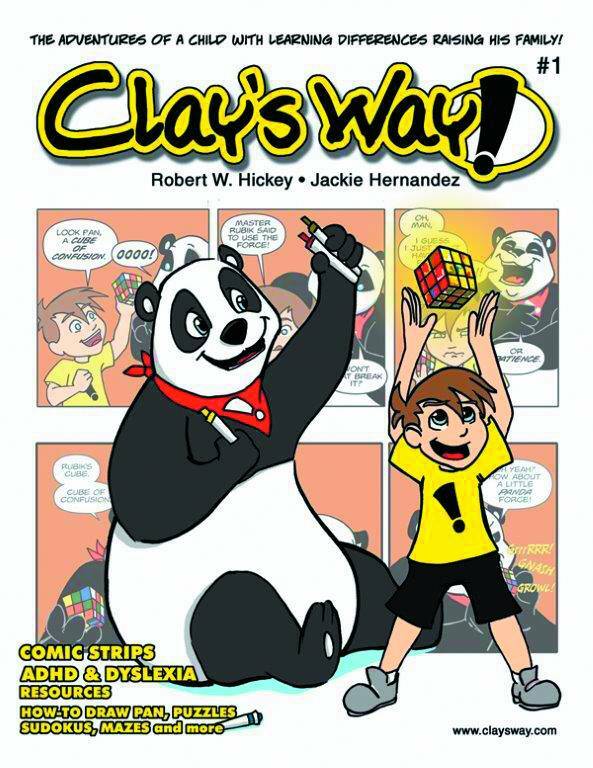 Clay is a young boy who, with the help of a friendly panda named Pan and a set of other interesting furry characters, has adventures and learns as he goes. The comic is regularly updated at the Clay’s Way web site. Now, Afterburn have collected the first 150 Clay’s Way comics into a trade paperback which you can check out over at Previews.